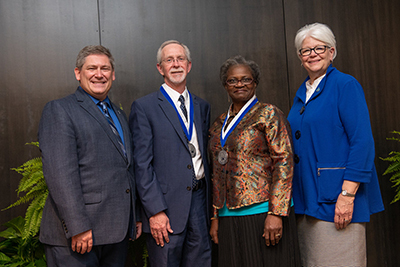 Indiana State President Deborah Curtis presented the President's Medal - the university's highest award for faculty -- to Valentine Muyumba, associate librarian and chair of technical services for Cunningham Memorial Library, and Robert Perrin, professor and chair of English. Muyumba joined Indiana State in 1978 as an administrative assistant and library associate in the cataloging department and serials catalog and catalog management. After finishing her library degree in 1998, she was hired as faculty, serving as holistic librarian and Diversity Information Online team leader. "This was so unexpected and I'm very honored to receive it because I love what I do and am very passionate about it," Muyumba said. "It was a transition going from 20 years as support staff to becoming faculty, but I think my colleagues who have mentored me here in the library and even outside of the library have shown me the way and I give credit to those who helped me get here, especially my late husband, Francois Muyumba. Francois encouraged me to follow my passion and supported me when I had to go back to school for the MLS degree." 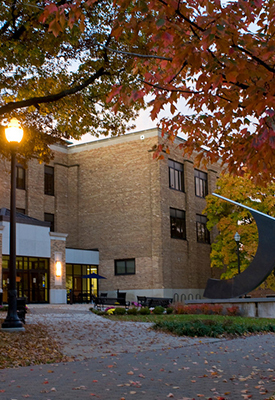 Perrin joined Indiana State's faculty in 1981, after serving as an English and speech instructor at Waterloo High School in Illinois and as a graduate assistant at the University of Illinois. He served as director of writing programs for 17 years and has served as chair of the department of English since 2007. "Like so many people who have received this award, I am truly honored. 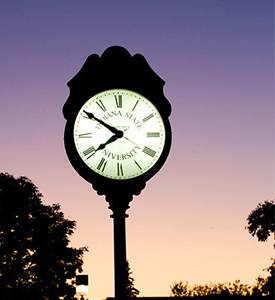 I have spent my entire college-teaching career at ISU and have valued the broad range of teaching, scholarly, and service experiences that the campus community has provided," Perrin said. "The work has often been challenging, but it has always been rewarding. Perhaps, most importantly, I want to express my appreciation for ISU's students; they didn't select me for this honor, but the thousands of ISU students I have taught over the years continue to inspire me to teach with passion, write with intention and serve with purpose." Muyumba served as monographic cataloging team leader and reference/instruction librarian and original cataloger. She became the acting chair of the cataloging department in 2008. In 2009, she assumed the position of chair of the technical services department, where she handles acquisitions, processing of books, government documents and interlibrary loan. 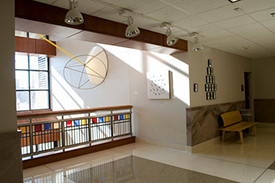 She was granted tenure and a promotion to associate librarian in 2004. "Through the years, I have worked with many of our ISU students," Muyumba said. 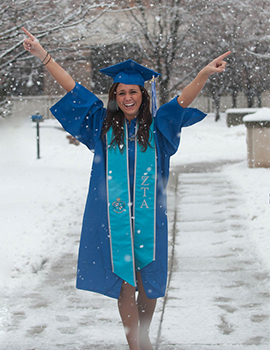 "They have been a big part of the department, and I have been proud to watch them ‘grow' from freshmen, when they first arrive on campus, to when they graduate and leave ISU." Muyumba's research is published in numerous journal articles, book reviews, conference reports and presentations. She is also a member of the American Library Association, Association for Library Collections and Technical Services, Indiana Library Federation, Ohio Valley Group of Technical Services and Indiana Black Librarians Network. Muyumba was recipient of Indiana State's "Her Color Shines' Longevity Award" in 2016. In addition, she also serves as secretary on the Vigo County Public Library's Board of Trustees, where she was appointed by the Vigo County Council. She has a master's degree in Library Science and a bachelor's degree in Secondary Education from Indiana University and a Master of Education degree from Indiana State. Perrin has authored numerous books, book chapters, and articles. He is also involved in the National Council of Teachers of English, Association of Departments of English, College English Association, Conference on College Composition and Communication, Conference on English Education, Indiana College English Association, Indiana Council of Teachers of English, Indiana Teachers of Writing, Kappa Delta Pi (Education Honorary), Phi Kappa Phi (Honorary) and Sigma Tau Delta (English Honorary). He is a past recipient of the Caleb Mills Distinguished Teaching Award (1991) and the Theodore Dreiser Research and Creativity Award (2008). 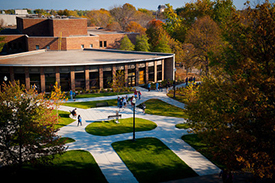 Perrin has a Ph.D. in English with concentrations in drama, rhetoric and composition, 20th-century fiction, and comparative literature from the University of Illinois, a master's degree in English Language and Literature from Southern Illinois University-Edwardsville and a bachelor's degree in English from Eastern Illinois University.